Never heard of gaga ball before? That’s okay! Gaga ball is all your kids can talk about lately? That’s okay too! At Octopit USA, our goal is to make owning a gaga ball pit a breeze for everyone whether they have an intricate knowledge of how the game works or they’re only hearing about it for the first time. Either way, we think there are a few things you should know about our company. That’s why we’ve put together today’s blog that’s all about what you can expect when you order a gaga ball pit from us! 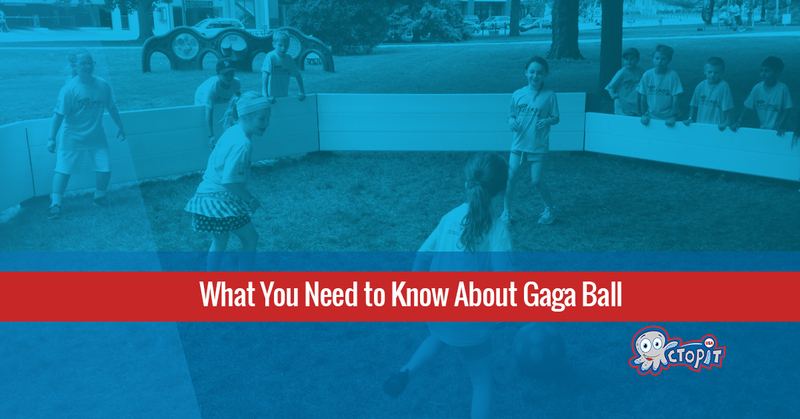 Gaga ball beginners and veterans alike will benefit from taking a look at this blog, so keep reading to learn more about who we are and what we do! First and foremost, we’re committed to providing our customers with a gaga ball pit that’s built to stand the test of time. After all, what good is a piece of kids outdoor play equipment if it doesn’t hold up against its core demographic! Children are notoriously tough on their toys, so we knew that if we were going to make gaga ball pits, they needed to be made to last. That’s why we make our gaga ball pits right here in the United States. By choosing to work domestically instead of outsourcing our production overseas, we’re able to watch over the quality of what’s being put out by our company. At Octopit USA, we strive to create high quality products and J.C. Walker and Sons is based in Michigan, ensuring that you get a gaga ball pit that’s made to the highest possible quality standards using ingredients that are equally high in quality. Your kids deserve the best, and when you choose a gaga ball pit from Octopit USA, that’s exactly what you’ll get! Any great piece of outdoor play equipment should be made of high quality materials, yes, but to work for most people’s homes, it also needs to be versatile and easy to set up. That’s why our gaga ball pits only take 15 minutes to setup or take apart, ensuring that you have the flexibility you need to let your kids play in your backyard or at the park. There’s nothing overly complicated about our product’s setup, ensuring that you’re able to do it quickly and conveniently–a must when kids are involved! Perhaps best of all is that our product includes a limited lifetime warranty, so you can be sure that it will stand up to your life. We make our products in such a way that the overwhelming majority of people will never have to take advantage of this warranty, but we want to provide it either way so you can rest assured that if something did happen, you’d be covered. If all of the above is important to you, we can almost guarantee that you’ll love our gaga ball pit! Built by Americans here in the good ol’ United States, it’s a product that’s built to stand the test of time all while giving your kids a game they’ll love for years to come. Whether you choose to sit back and watch the kids play a game of gaga ball or you’re the type of parent who likes to jump in on the action from time to time, we’re sure that you’ll agree that our gaga ball pit would make a great addition to your backyard this summer. Get a free quote for your gaga ball pit today!